There are those characters in movies that just pop off the screen — the ones that draw your attention from the first moment you see them and don’t let go. 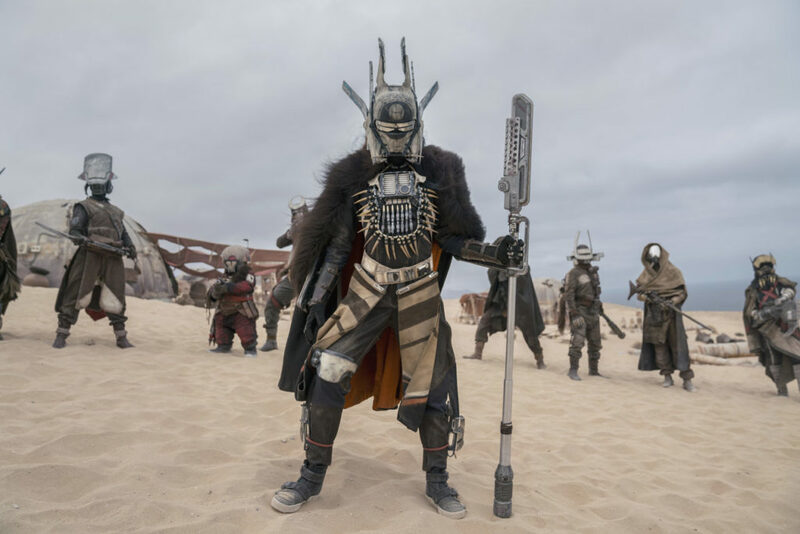 Enfys Nest, the masked marauder of Solo: A Star Wars Story, is one of those characters. The costume, with its tribal, dystopian, found-object look, is incredible. Enfys looks cool, no doubt, and is a threat to our heroes in a way that commands respect. But there’s another layer to the draw of Enfys. When the supposed villain, leader of the deadly Cloud-Riders biker gang, unmasks at the end of the film — revealing a wise-beyond-her-years young woman — she is elevated even higher. We’re moved from feelings of suspicion and fear to empathy and allegiance. She’s somehow even cooler. 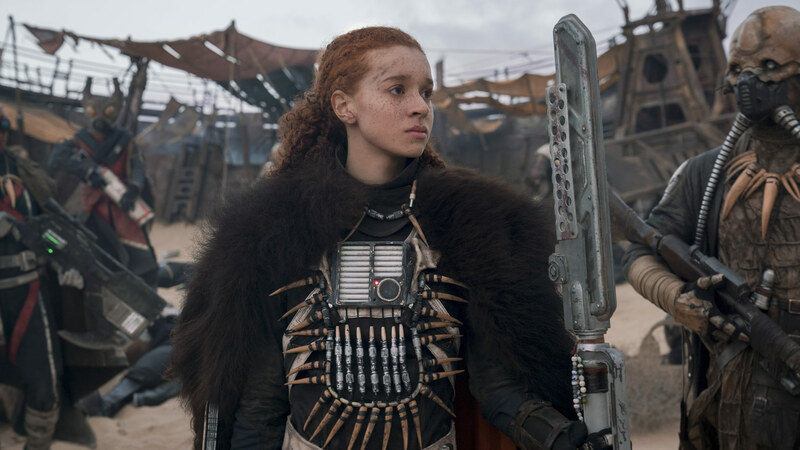 And in that instant, both Enfys and actor Erin Kellyman, who plays the surprise hero with confidence and subtlety, join the ranks of the best in Star Wars. 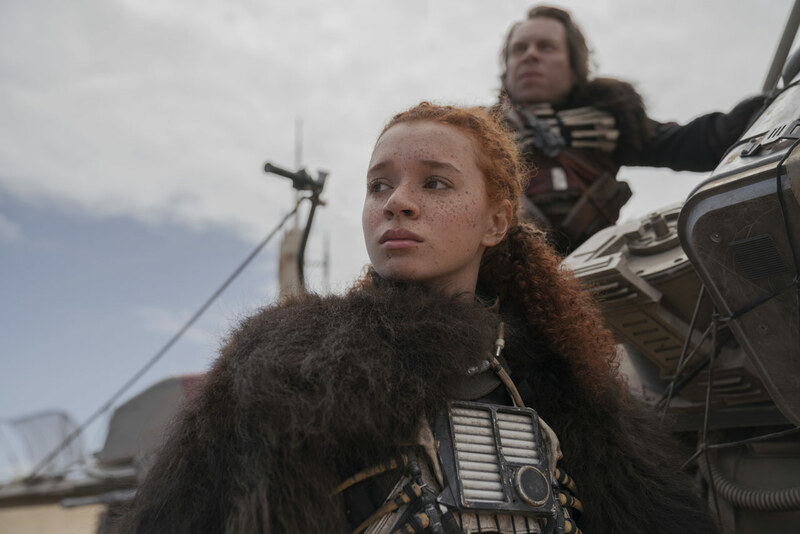 To mark this week’s release of Solo on 4K Ultra HD, Blu-ray, and On-Demand, StarWars.com caught up with Kellyman about auditioning, swoop bikes, and the complexity of Enfys Nest. 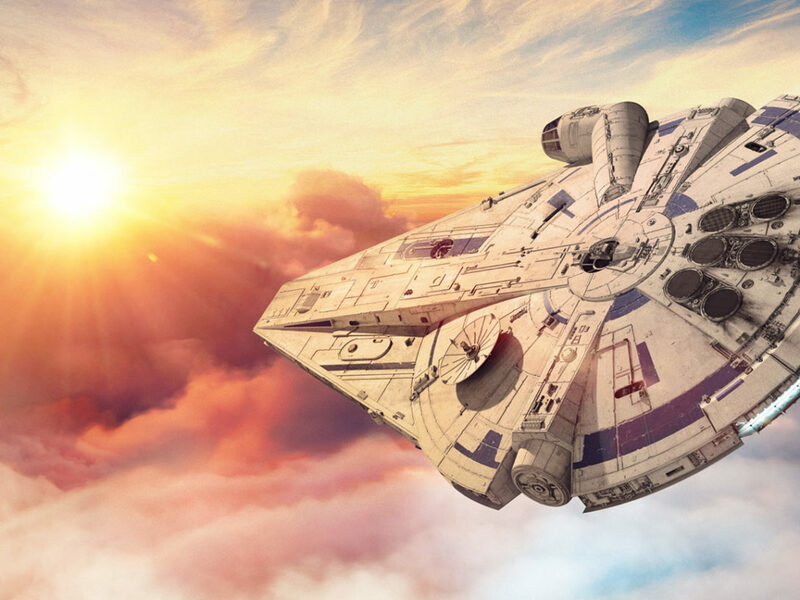 StarWars.com: Enfys Nest has really struck a chord with fans. Especially recently, it seems, her popularity is picking up steam. Why do you think that is and what does it mean to you? Erin Kellyman: I’m over the moon that people like her! I think there was a part of me that was a little nervous about playing Enfys, as there are so many people that love the franchise and it’s impossible to please everyone. She is also so complex and I wanted to make sure I did the writing justice. So I’m glad that people seem to have enjoyed her. 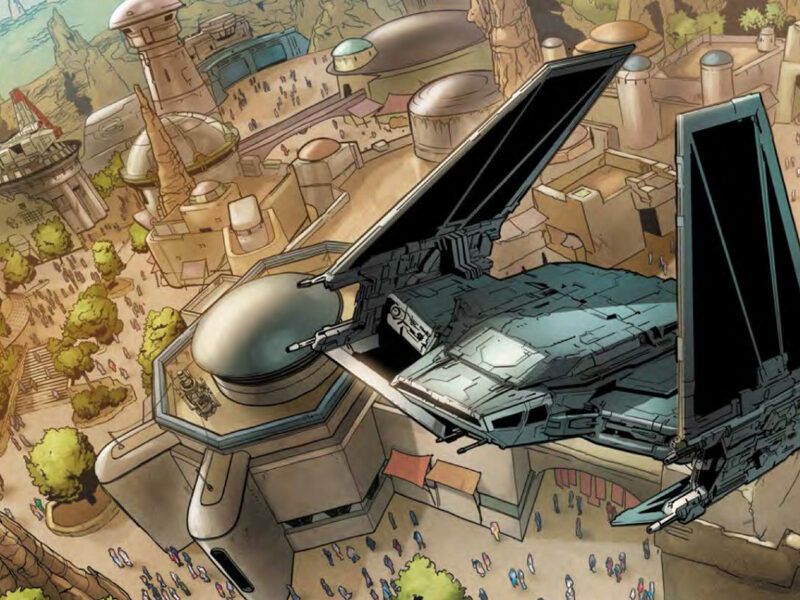 StarWars.com: Can you take us back to how you got the part? And what was your reaction when you found out you’d play this character? 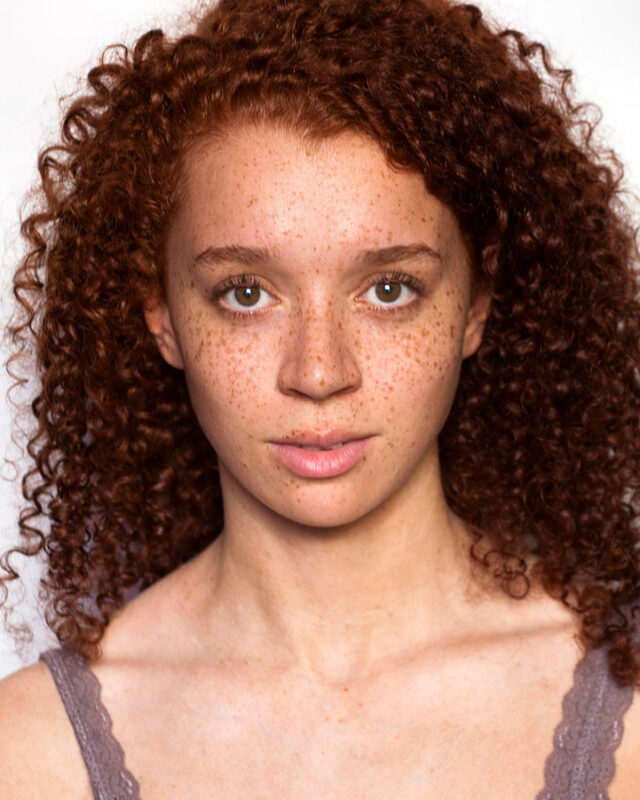 Erin Kellyman: I went to a set of three auditions for the role. The first one I thought I had completely messed up, so when I got a call I was so surprised — but also so determined, as I knew I hadn’t done my best in the first round, so I wanted prove myself in the next two. 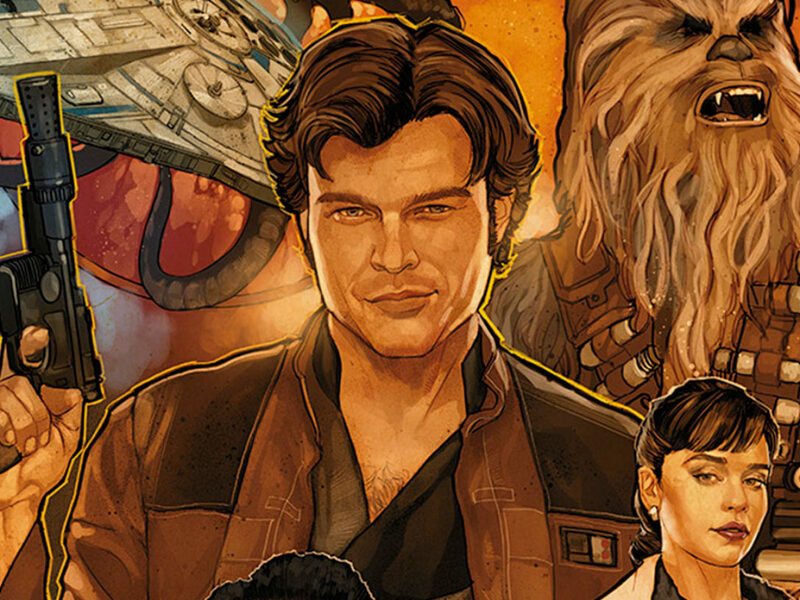 It was on the last audition where I met Alden [Ehrenreich] and we did a screen test together. I also had to be tested on how well I can fight, so I went through some stunt tests just before my audition with Alden. I gave it my all in both the stunts and the audition, so I knew if I didn’t get it that I couldn’t have done any more. But I was still so shocked when I got the role. It took a while for the news to sink in, and it wasn’t until I was actually in Pinewood and I saw some of the sets that it started to feel real. 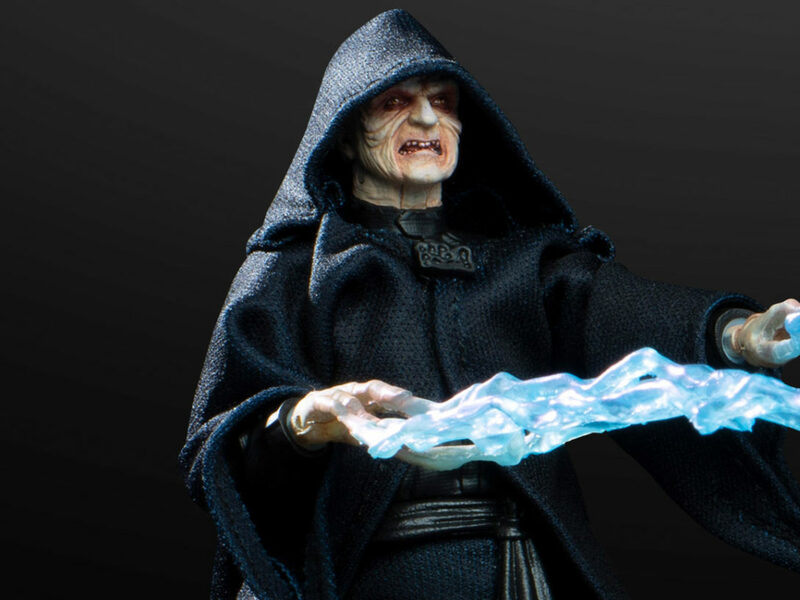 StarWars.com: What did you think when you first saw the costume? And when you put it on for the first time — what was that moment like? Erin Kellyman: When I saw the costume was another time that it really started to sink in. I had to walk past some stormtrooper costumes to get to where mine was, so that was pretty cool to see! The first time I put the costume on was unreal. 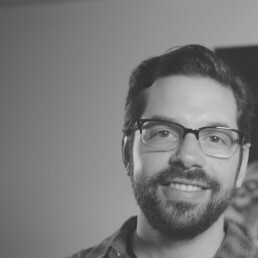 I’ve never played a character that wasn’t set in the year [the project] was made, so I had no clue what to expect. But it was amazing, I felt like a proper warrior. 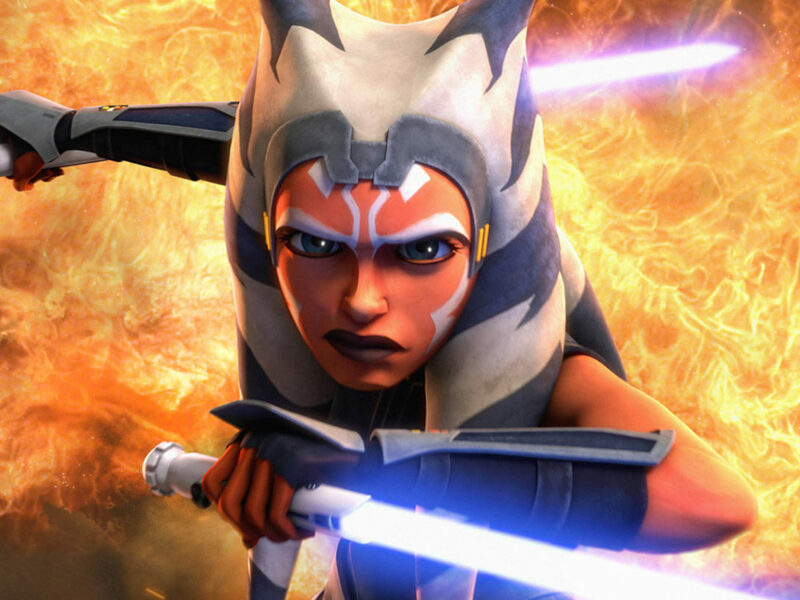 StarWars.com: What can you tell us about the shoot? Is that you on the swoop bike? Erin Kellyman: That was me on the swoop bike! That was all done on a blue screen and we were on a rig that controlled the movements. I also did all of the stunts with the mask off, other than the big jump, I only did half of that. That was split into two because it was so high, so my stunt double, Casey Michaels, is seen from behind, jumping from the top onto a green box, and then I did the jump from the green box to the floor. 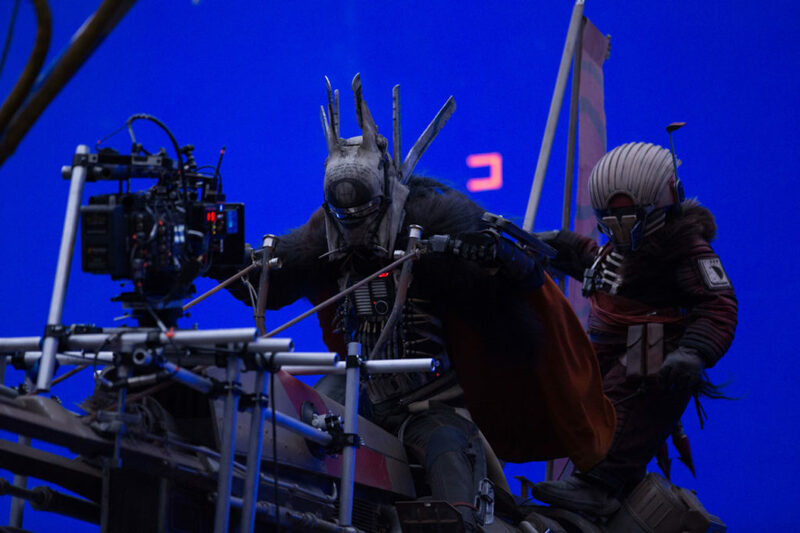 StarWars.com: Enfys Nest had to be a lot of things — a little scary, threatening, agile, and ultimately, sympathetic. How did you go about conveying all of this as an actor? Erin Kellyman: I think that a lot of it is actually in the dialogue. When she is explaining a small part of her story and what she is about, it is clear that she has been through so much. Because of the scenes with the mask on and the way Beckett talks about her, I think it becomes fairly known she won’t stand for people trying to get in her way, so when talking about her past I wanted to bring a bit more of an innocence, but with a wisdom there. I think that comes with her being so young in age, but beyond her years in experience. 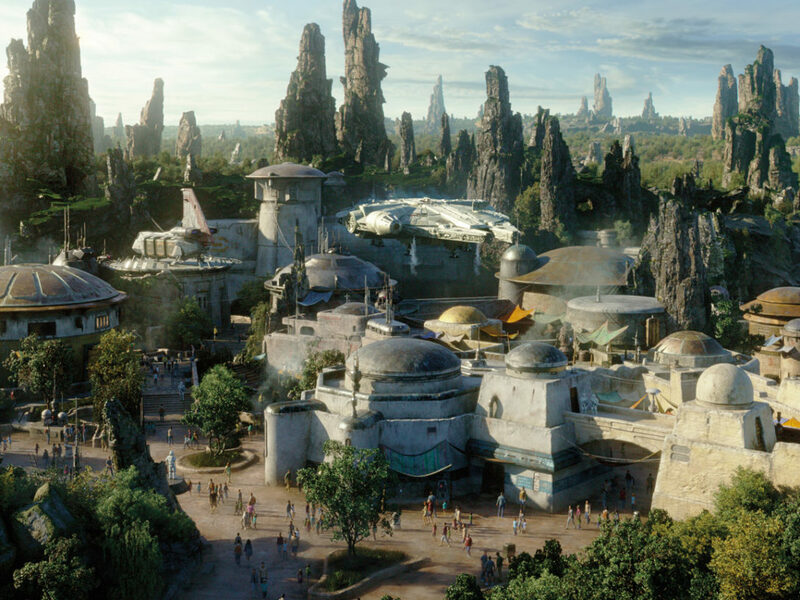 StarWars.com: What significance does being part of Star Wars have to you now? 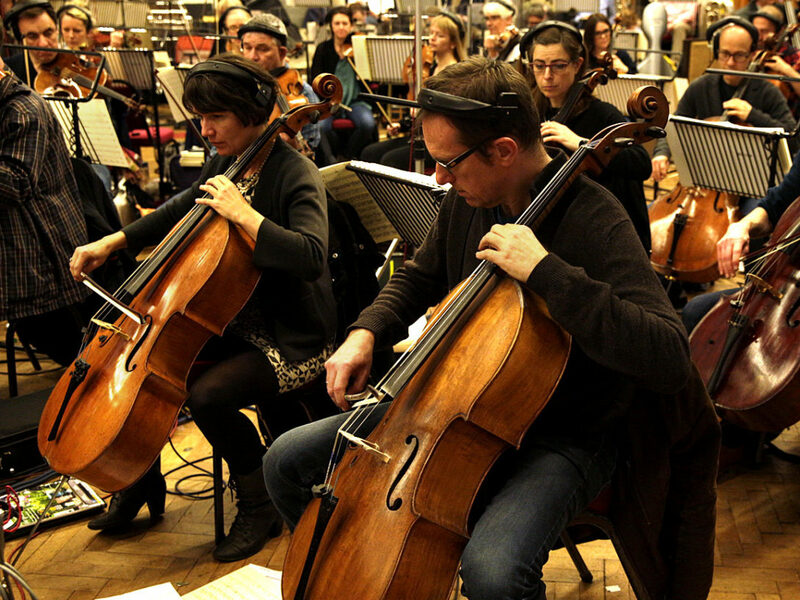 Erin Kellyman: I am honored to be a part of Star Wars. I think anything that has the ability to excite kids as young as four and adults that watched the very first ones when they came out, is something very special — I am so lucky to be a part of this story, and to play someone that’s as badass and complex as Enfys Nest. 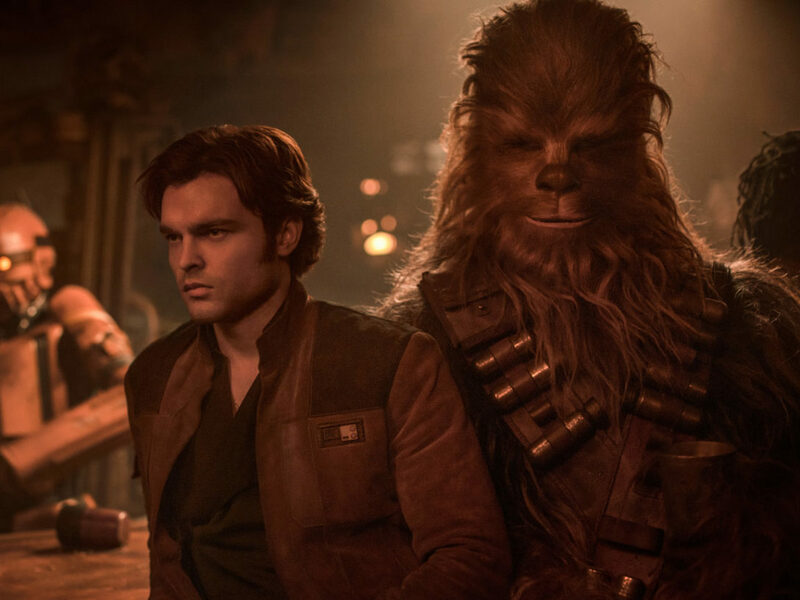 Solo: A Star Wars Story is available now on Digital and Movies Anywhere, 4K Ultra HD, Blu-ray, DVD, and On-Demand.